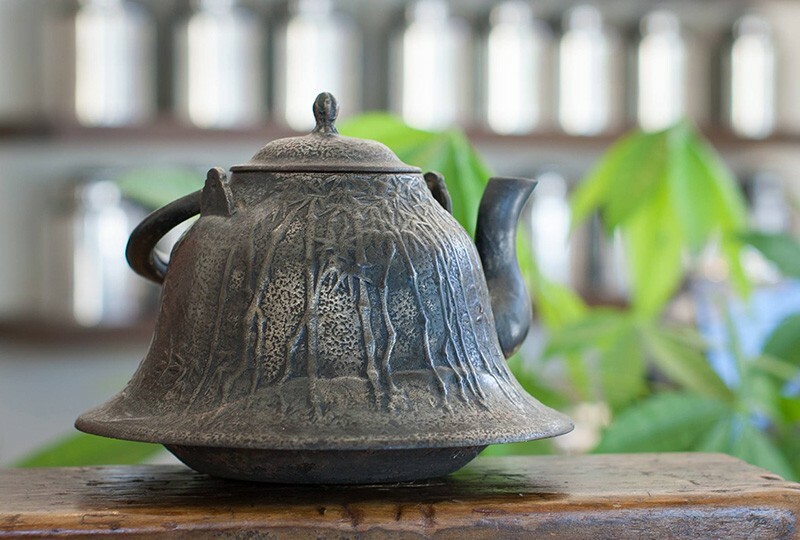 Sourced from organic farms around the world and blended by hand, the teas crafted by Marin-based Desta Epicures Guild are works of art in themselves, but that's not the only thing on display in the small San Anselmo storefront. The Desta Art & Tea Gallery combines stunning visual works and sensual teas for a stimulating multi-sensory experience. This week, the gallery brings together its new crop of spring teas and a new selection of art in the "Still Motion" exhibit, which opens with a reception on April 9, and a special "Tea with the Artists" event April 11. "Still Motion" complements Desta's serene atmosphere with a collection of paintings and sculptures that capture life's quiet moments. Included in the show are landscapes and figures by painters James Kroner and Debra Maddox, and clay works by Sandy Frank. Desta founder Emebet Bellingham Korn offers her small batch: single-origin teas ranging from berry-infused black teas to ginger and lemongrass yerba mate. The reception on April 9 also includes Desta's renowned hand-blended tea-infused cocktails, Champagne and light appetizers, and the afternoon tea on April 11 will pair teas, sweets and eye-opening conversation with the artists in the communal and creative space. "Still Motion" opens on Thursday, April 9, and Tea with the Artists takes place on Saturday, April 11, at Desta Art & Tea Gallery, 417 San Anselmo Ave., San Anselmo. Reception at 6pm, Tea with the Artists at 2pm. Free. 415.524.8932.